The first time I was introduced to Bulleit Bourbon, it was described to me as the “go-to, bar standard for bourbon in most of the United States.” Whether this was meant as a flattering compliment or damning criticism is hard to determine, but one thing is certain: Bulleit represents this sort of intangible “middle” bourbon, as appropriate in a cocktail as it is in a shot glass. 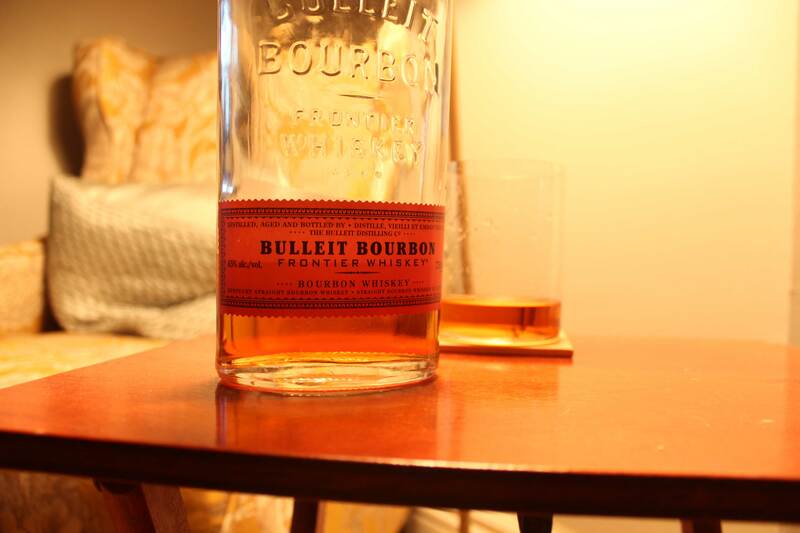 I get Bulleit all the time. It occupies the price zone at the LCBO of “still good and knows it because it has a corked top, but under $40 even not on sale.” For Americans reading this, that’s no typo — Bulleit runs you over $38 in the Great White North (so don’t even ask about Makers Mark.) I find myself gravitating towards this cheap and cheerful bourbon, especially if I’m going to be making cocktails or otherwise sharing. Because everyone can stay the hell away from my Elijah Craig. Think of bourbon. Close your eyes and really just picture the characteristics of the drink “bourbon.” Think of the general smell, taste and feel of this famous whiskey. That general impression is a lot like Bulleit. To me, it feels stripped down and raw — on the nose is a big hit of oakiness, a touch of orange zest, and a punch of alcohol. It’s not overly complex, but to be honest it smells damn good. The taste is similar. There’s a rich vanilla to the wood, and a hint of charcoal that I love in my bourbon. With some spicy black pepper to keep it sharp, and the orange zest transforming into orange marmalade, Bulleit becomes a bourbon so universally drinkable, it’s difficult to serve to someone without eliciting an eye roll. One thing this simple-but-tasty whiskey is perfect for is cocktails. I love a Bulleit Old-Fashioned, and it’s perfect for a Manhattan (when I’m out of rye). There are much more complex, interesting bourbons than Bulleit. There are cheaper and more cheerful whiskeys. But in spite of this, I find myself time and again returning to this middle shelf beverage and returning home for a dram of Bulleit. 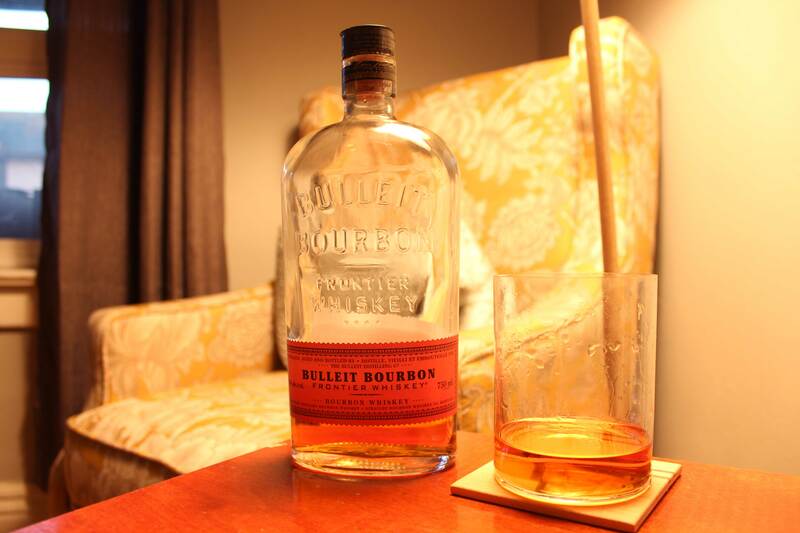 Take that for what you will — as for me I’ll take a Bulleit for now, and sip it slow. Nice. I was going to say that this is such a key staple. You’d probably be better off using a cheap rye (DarkHorse?) at the $29.99 mark than bullet for a manhattan in my opinion. Definitely a key one to have. Have you tried my old fashioned made with Knob Creek Single Barrel?